Prince William,VA is conveniently located off of the beaten path, so you can enjoy some rest and relaxation without going too far out of your way. Located a short distance from Washington, DC, right off of I-66 and I-95, all of our most popular activities are easy to get to no matter where you are coming from. So, what are you waiting for? Take a weekend to relax and unwind in Prince William, VA. The area is full of beautiful parks that are perfect for a light nature walk or a relaxing bike ride. 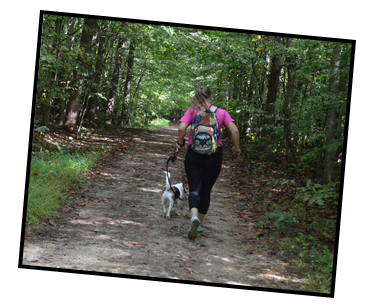 Prince William Forest Park, Leesylvania State Park, and Manassas National Battlefield Park are local favorites with extensive trail systems that are great for hiking and biking. Veteran’s Memorial Park and Lake Ridge Park are two smaller, lesser known parks with beautiful scenery. Feel free to bring your dog along so you do not have to worry about getting a sitter! Mother’s Day is coming up, and this could be a great activity for you and your mom to enjoy together. There are two wineries that offer two beautiful, but different views. 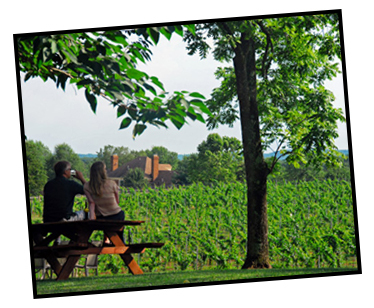 The Winery at La Grange is located in Haymarket, VA, and provides visitors with a beautiful view of the Blue Ridge Mountains. Enjoy food, music, and wine on the weekends at La Grange when the weather is nice. The Winery at Bull Run is the closest winery to Washington, DC, but that is not all that is special about it. The winery sits adjacent to Manassas National Battlefield Park, so you can enjoy a glass of wine after a light walk around the battlefield. If it starts raining, visit Trummer’s, a European-style coffee shop and wine bar in Gainesville, VA. There are different options to enjoy the waterways in Prince William, VA.. Two popular options are kayaking on the Potomac River while visiting Leesylvania State Park and paddle boarding on the Occoquan River during a day in Occoquan, a beautiful, small town. Lake Ridge Park is a hidden gem in the area. The marina offers boat rentals for spring, summer, and fall for a variety of water activities. 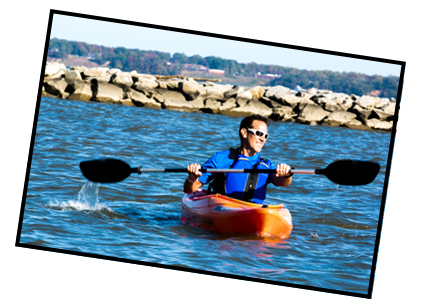 Learn more about your options for water activities in Prince William, VA. Sitting by the water with a fishing rod in one hand and a cup of coffee in the other is a great way to experience a relaxing morning. 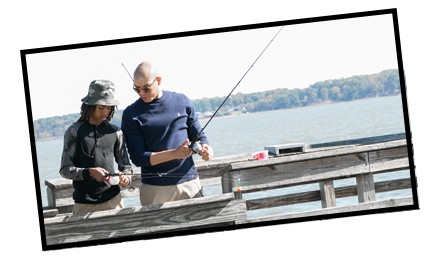 The pier at Leesylvania State Park is the perfect place to catch your next fish, but Prince William is full of great options. Learn about the best fishing spots in Prince William. Retail therapy is one of the best ways to relax, and the discount prices at Potomac Mills only make it better! Grab your mom and take her out for a shopping trip for Mother’s Day. After buying her something special to thank her for everything she does for you (maybe a new Coach purse or a cute bracelet from Kate Spade New York), take her out to dinner. Choose from restaurants like Bahama Breeze, Bobby’s Burger Palace, and the Cheesecake Factory. Finish the evening off by going to see a movie at AMC Theatres to make this Mother’s Day a special memory that she will never forget! 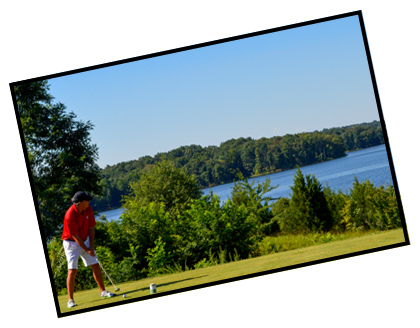 A golf vacation may be all you need to relax and unwind after a crazy week at work. Grab the guys and head out to one or some of our 11 public courses. Make a weekend of it and head out to the Old Towne Man Cave, a male-only spa. Finish the weekend off with a craft beer from one of our six craft breweries. Get more ideas for a guy’s weekend.